Veneto White Porcelain Floor and Wall Tile is constructed from durable, frost-resistant porcelain material with an impervious water absorption, making it a great choice for indoor and outdoor applications. The elegant white colour, travertine look, combined with a polished, low sheen creates a stylish, contemporary appearance. Porcelain vent cover made to match Bengal Autumn tile. 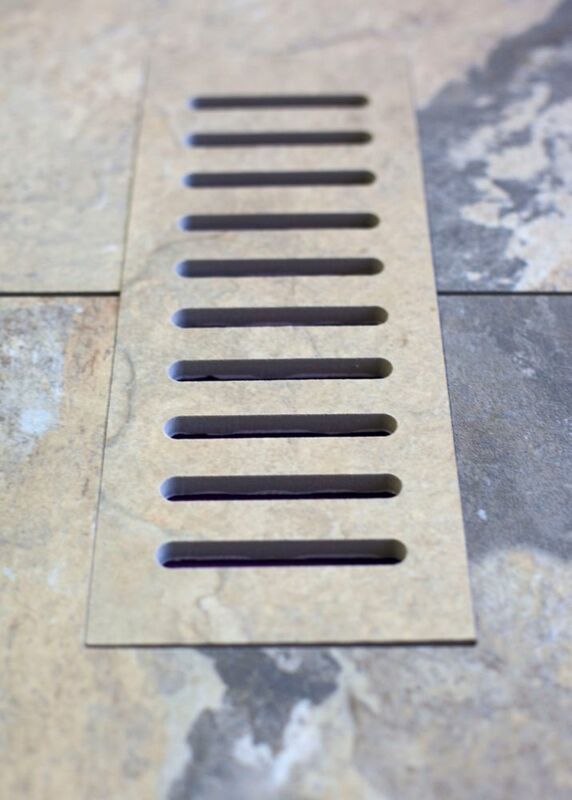 Size - 5-inch x 11-inch Finally a porcelain vent cover that matches your porcelain tile floor perfectly. Our Flush Mounted floor vents add style to any tiling project. Each vent is made from the floor tile you've selected and designed to lay flush with your floor. Beautiful, durable and easy to install all of our Flush Mounted floor vents come complete with a sturdy steel back support and a separate diffuser (dampener) levelling plate which allows you to control the air that enters into a room. Adding porcelain or ceramic Flush Mounted vents to your new floor will give your room an elegant final touch.